The Coastal Bend Quilt and Needlework Guild holds a quilt show every odd numbered year. The 2019 show , SYMPHONY OF QUILTS, that was held at the Richard M. Borchard Regional Fairgrounds in Robstown, Texas is now in our rear view mirror. It was a great show. So many beautiful quilts and needle art. Thank you to everyone, including all of our great vendors (see list below), who helped make the show a success. Start preparing for the next show in 2021! 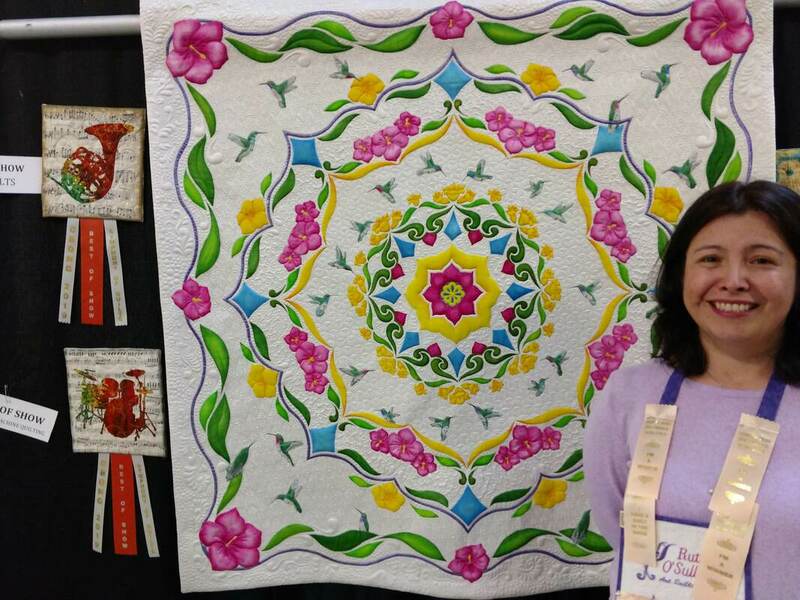 ​Ruth O'Sullivan's "Hummingbird Dance" was awarded Best of Show as well as Best of Show for Long Arm Quilting.